Music director Anu Malik is busy forging old ties and consolidating his position in the music industry. 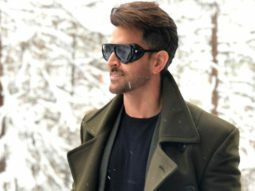 The latest is that he is back with Mukesh and Mahesh Bhatt after a gap, with Vishesh Films signing him to compose the music of their next venture, directed by Vikram Bhatt. “I feel privileged to be back with the Bhatts after a long time. After all, we can never forget the association we shared in JAANAM, SIR, NAJAAYAZ, NARAAZ, PHIR TERI KAHANI YAAD AAYEE and SIR. I consider it as a turning point in my career,” Anu says, when asked about the renewed ties. According to sources, director Vikram Bhatt was instrumental in bringing back Anu to Vishesh Films. “There were no misunderstandings whatsoever. We just drifted apart. But I cannot deny that I share a close rapport with Vikram Bhatt. I was associated with his directorial debut, JAANAM and more recently for AWARA PAAGAL DEEWANA, he clarifies. Incidentally, Anu Malik now records music directly from his newly-constructed music studio in Andheri.